Hello peeps! 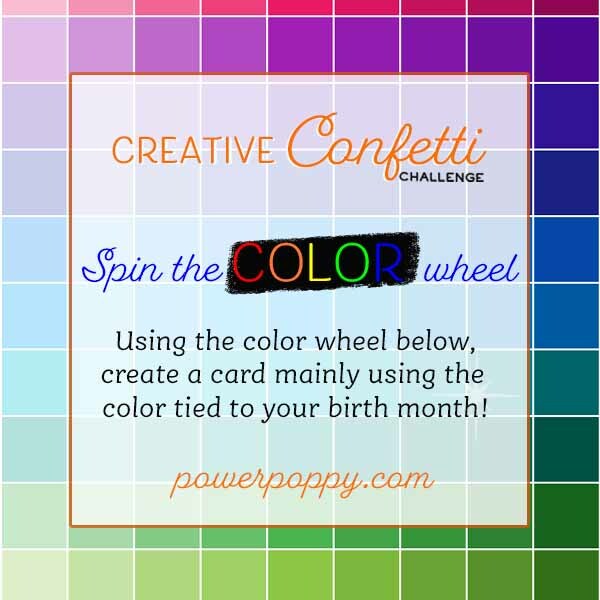 Earlier this week over on the Power Poppy Blog, I ushered in a different kind of Creative Confetti Challenge. I hope you check it out and play along with moi! ;-) It was based on a tutorial the talented Ms. Dina Kowal did more than a few years back. Want to see? Click here! She took us through -- step by step -- on how to create what she called a "9-block card." It was designed to mimic the effects of a quilted square and that, my friends, was the inspiration! 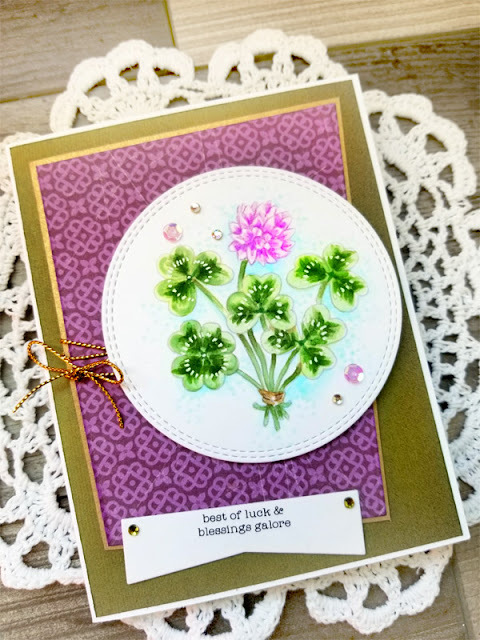 You can check out all the details on the challenge HERE but I thought I'd share the process of creating my card here on my blog too! So, I wanted to give you a reference point so that you could "see" where I was going through my little step by step tutorial below. I am giving you a tutorial because I did my grid creation just a wee bit differently than Dina. She had a grid die. I wasn't so lucky but in the process of making this card, I remembered a little trick a fellow stamper taught me once. So, I reached into the cobwebbed recesses of my mind and dug that little trick out! And then kept moving my slivers of paper as I went! You can see just how easy this made it! And here's a look again at the final "puzzle" all put back together! Here's a closeup. Don't look too hard! You can see that I am just a wee bit off on my top three boxes. The paper must have shifted as I was making my little squares. It's okay though. Most people won't notice that hopefully! And here's the cheery little sentiment that I added onto a punched circle and put on my card thanks to some silver cording! The sentiment is from the Power Poppy set Potted Primroses. Love that set! So, now it's your turn to color up something, cut it up and piece it all artistically back together! 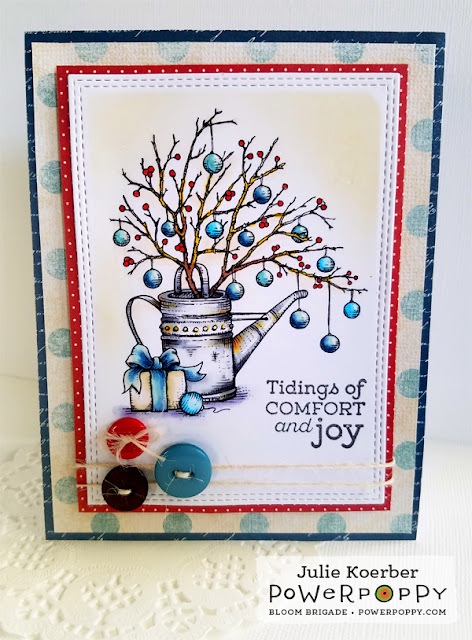 While it was a bit tough cutting up this image, I do love the effect and was glad I cued up Dina's tutorial for inspiration! You should give it a try! Time to take a little trip to see what these lovely ladies whipped up for us all this week! 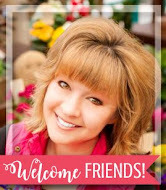 Julie Koerber >>> you are here! 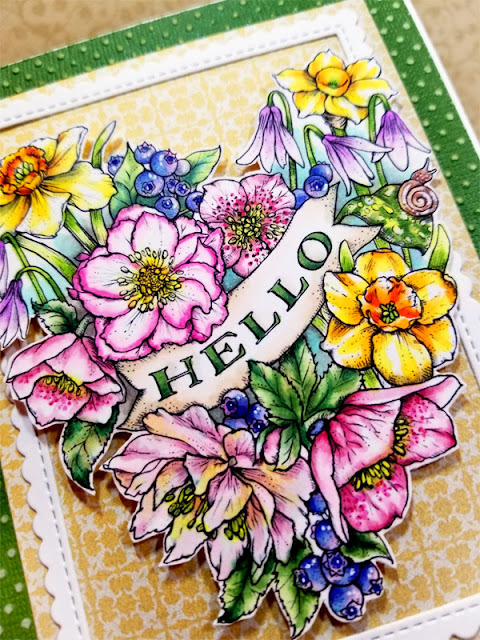 Hello sweet stamping friends! Hope your week is ending on a creative high note! 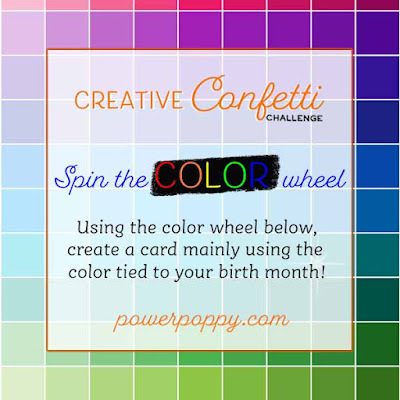 Earlier this week, yours truly ushered in a brand new Creative Confetti Challenge that involved color and being challenged to maybe get out of our creative comfort zone. Check it out! HOW TO PLAY: The mission is as simple as the graphic above! What's your birth month? Were you born in March? Then 3 is your number! And, using the color wheel below, find your corresponding color and then use it to make a big colorific splash on your card or creation! Just that simple! 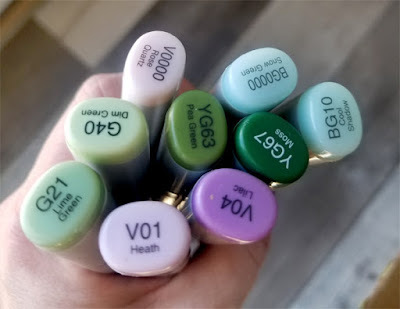 Since November is my birth month, I found 11 on the wheel and realized my color is that deep grass green. FUN! I don't often create with this color so this one was a bit of a challenge! I thought long and hard about making a monochromatic card but then I spotted an image that was half colored that would be a perfect fit for this challenge. Take a peek at what I did with Power Poppy's Heart Abloom digital stamp set! I think I literally used every single Copic marker I own to color up this incredible bouquet! I spent a ton of time on Google, looking at flower photos to try to get just the right effect. Those kinds of color fests are always the most fun, don't you think? After I was done coloring, I fussy cut my image just to make it POP on my card. And, of course, I reached for the dark green to serve as my color anchor for the challenge! I was lucky that there was the possibility of so much green in my colored up image that this seemed to work beautifully! Here's a close up for you! You can see that I kept my card layout rather simple just because I had so much going on with my main image. I just sanded down some white core embossed paper, added some fun yellow decorative paper, a scalloped die cut frame and that's about it! 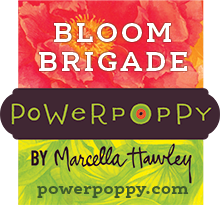 Before I let you go, you should click HERE to check out the Power Poppy blog! 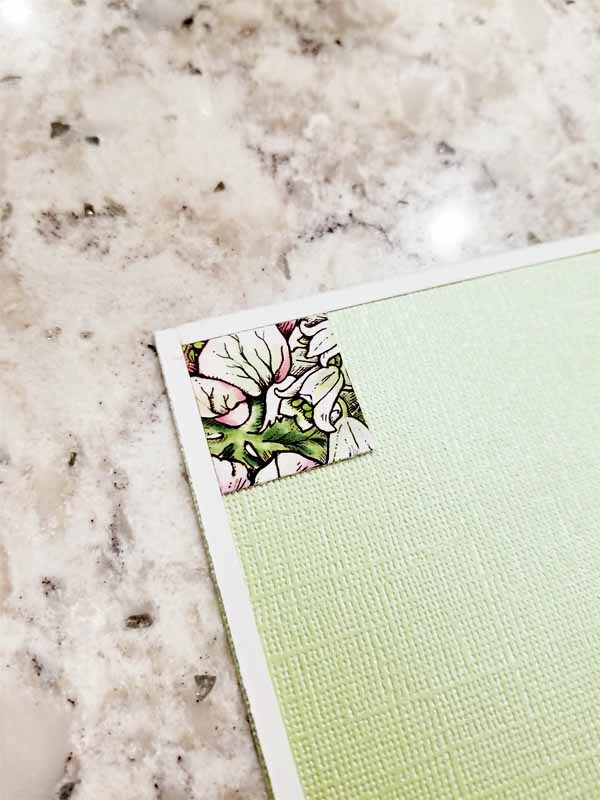 Marcy has another one of her savvy little Weekend Stamp Steals going on and you could get your hands on some truly gorgeous images.... for a steal! Click on over to see what I mean! Since it's Friday, that means that some of the Bloomies are on hand to share some of what they've been working on this week! Get ready to be wowed! That's right! The Instant Gardeners will be in the Power Poppy house with a BRAND NEW DIGITAL STAMP SET that features an overflowing bouquet full of spring treasures delivered with a charming vintage feel. You're going to love this one! May the Luck 'O the Irish be YOURS! Hello folks & Happy Friday! In just a matter of days, many will dig deep in their closets, looking for green, claiming to be a little bit Irish -- just for the fun of it (or to avoid getting pinched)! It's time when the Luck 'O the Irish rules and folks who live in the whimsy of the St. Patrick's Day holiday go on the hunt for the end of the rainbow, where there just might be a pot of gold waiting! 🌈 😊 So, to get in the spirit, why not share a little luck in the best way we know how -- a handmade card! That's what this week's Creative Confetti -- hosted by yours truly -- is ALL about! Check it out! Want to play along with me? 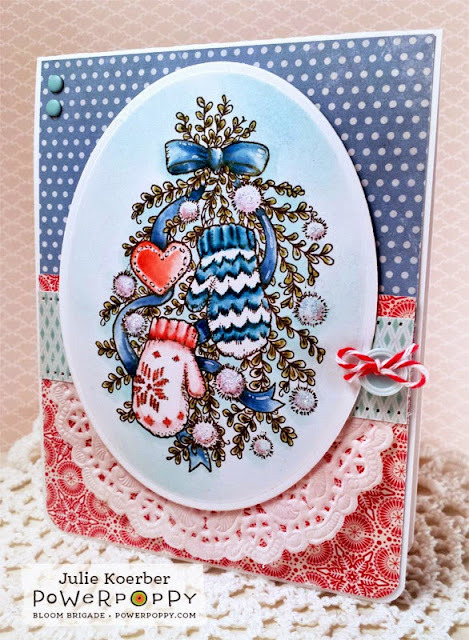 Just click HERE for more details and the linky to link up your card or creation! Speaking of creations, on to mine! For my creation, I used the new digital stamp set Shamrock 'n' Roll! I just love this sweet illustration and it's perfect for this time of year. The good news? This little darling digi is only $1.50 in the Power Poppy Shop. It's the perfect little image to grab, download and print in a jiffy to send some lucky wishes to those in your life who need it most! I printed the lighter, no-line version and then, grabbed these Ccopics to color the image up! And, here's a closeup! 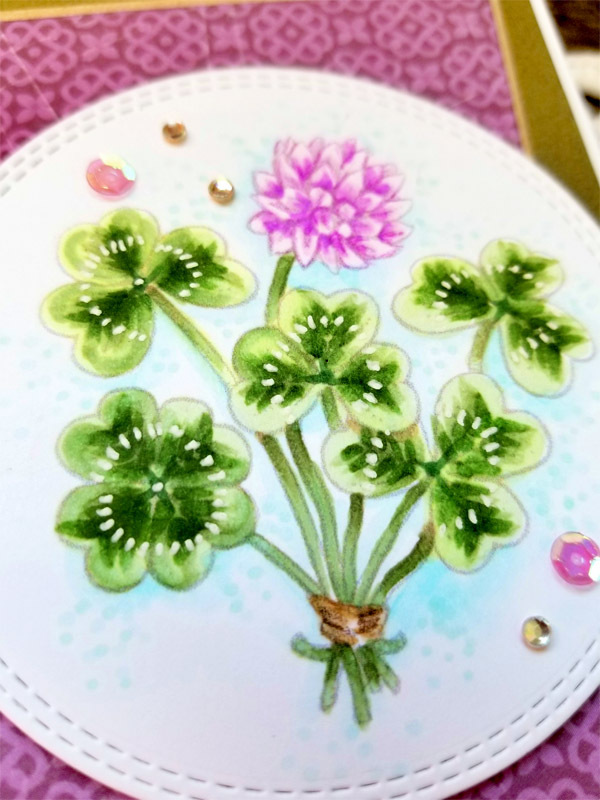 As you can see, I added some white gel pen to accent the clover leaves, used BG markers to add some fun stippling and then accented with sequins too! Now it's time to check in and see what these lovelies whipped up for you this week! Check it out, it's a steal! Well hello there Power Poppy fans! I'm here to share a little bit of a treat for you all today! 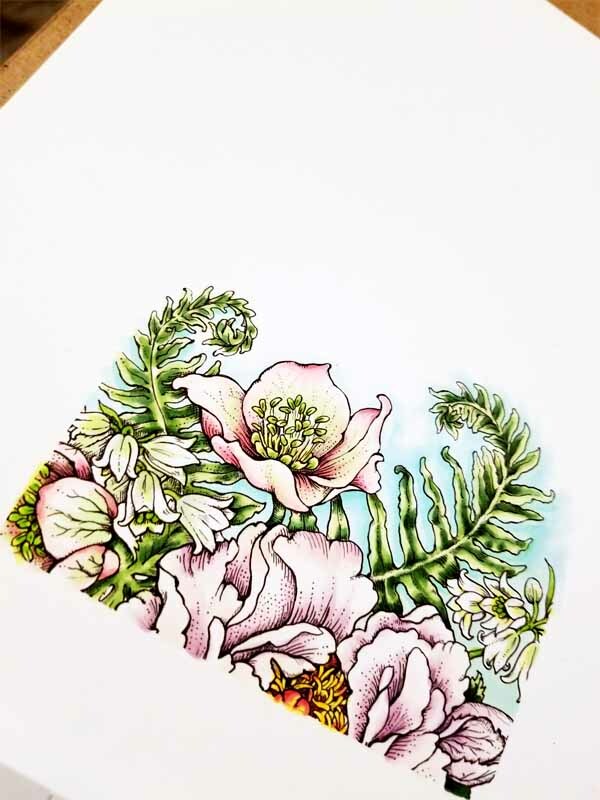 There are more than a few well-loved illustrations in the Power Poppy Shop and today, a few of them are being offered at a steal. 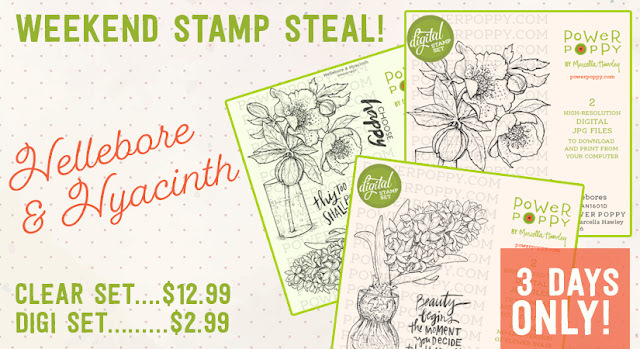 It's a Weekend Stamp Steal! Check it out sweet peeps! In some parts of the country, it's almost time for these lovelies to sprout after the winter thaw. 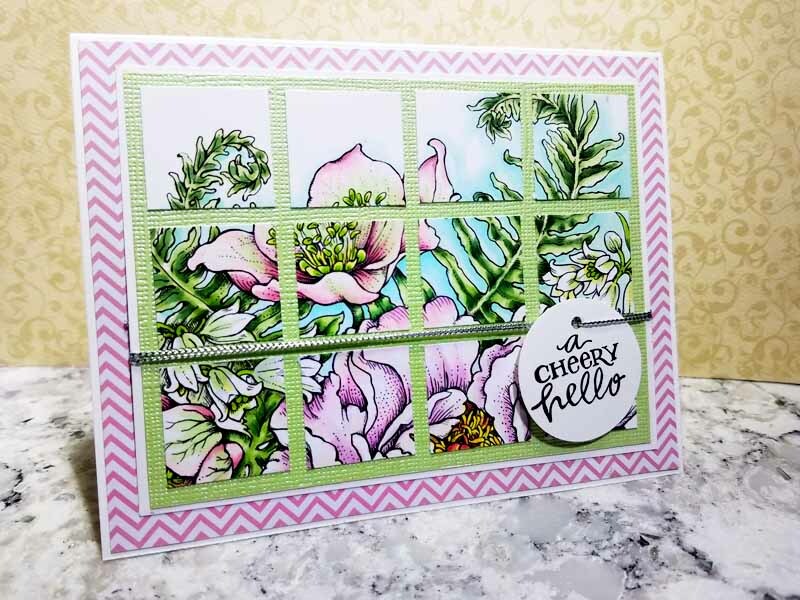 And, that's exactly why Marcella wanted to make sure you had these drool-worthy images in your stamping stash! Helebore & Hyacinth features both of these illustrations in one 4 by 6" clear stamp set. I love the delicate petals of the hellebore -- they come in the most unique shades! 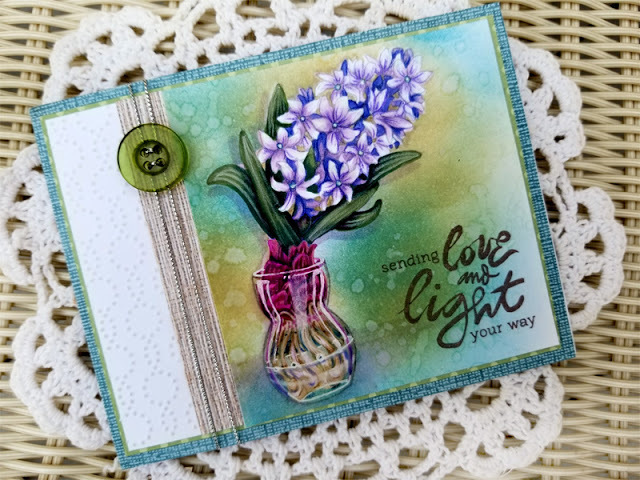 The hyacinth in this set is another charmer that gives us stampers a chance to flex our coloring muscles by coloring up that beautiful vintage glass bulb vase. 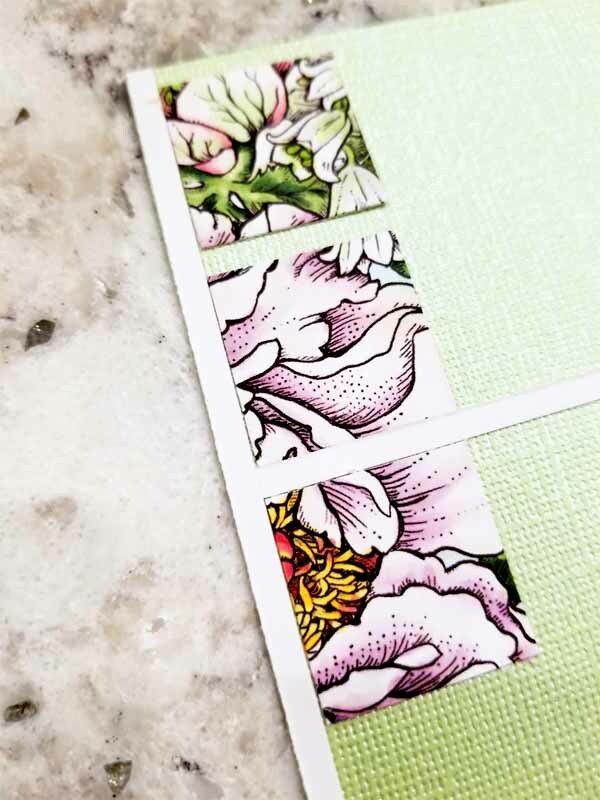 If you're a digital stamp lover, you're not left out of this love fest. In fact, you have two sets you could pick up for a steal this weekend! Hellebores is the digital version of this image and you can find Hyacinth in Bulb Glass here. 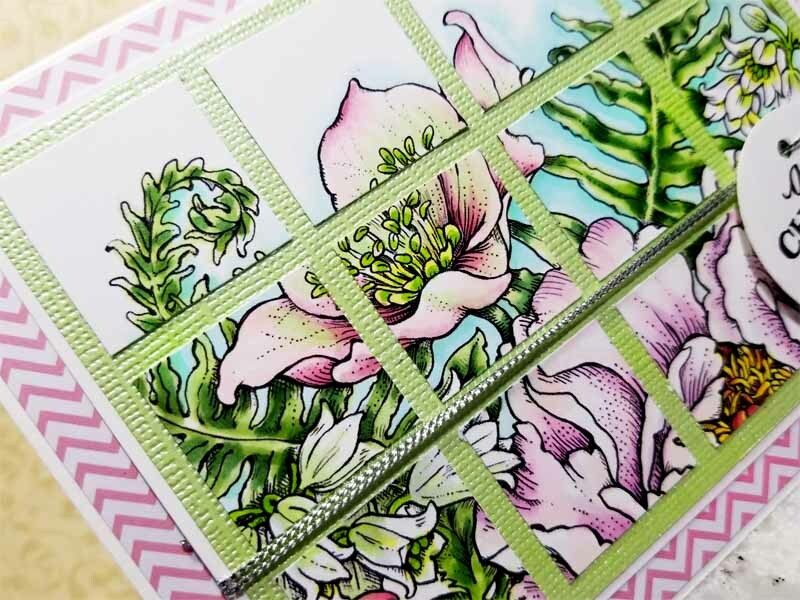 Because I love these sets so much, I decided to dig deep into my stamping archives to share a couple of the cards I've whipped up using these beauties! My creation using Hellebore & Hyacinth! Creation using the digital stamp set Hyacinth Bulb in Glass Vase! So there you have it my friends, a fabulous Weekend Stamp Steal for the taking! If you like what you see, don't hesitate! This offer is only good through Sunday! Like the graphic says -- 3 days only peeps! Since it's Friday, that means that some of the Bloomies are on hand to share some of what they've been working on this week. 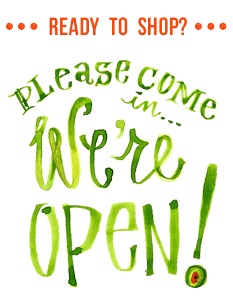 So, stop by and see for yourself the artistry they've crafted just for YOU! Thanks for stopping by y'all! I hope you have a fun and fabulous weekend and.... I'll see you back here real soon! Hello there folks! I am SO glad it's Friday, how about you? We were hit with a mini blizzard and it will honestly be nice to huddle inside and stay cozy at home instead of brave the streets right now! We have plans to watch my DD play basketball but other than that, the calendar is wide open. Love that! Moving on! This past weekend, Power Poppy released a brand new digital stamp set -- My Favorite Pair and it is a beauty! It's the second in Marcella's Cafe Au Lait series and I honestly couldn't wait to color it up! Here's what it looked like after I took Copic Markers and Prismacolored Pencils to it! I used the no-line version of the digital stamp set and truly got lost in coloring it all up! I was going to list all the Copic Markers that I used but honestly, I have about 40 on my desk as we speak and they just weren't going to fit in one photo together! After I colored up my image, I did add further definition to the leaves using a dark green Prismacolor colored pencil. I love how it brings out the veins of the leaves and delivers just the right amount of visual punch. And here's a peek at the finished card! After I colored up the image, I got word that one of my co-worker's moms passed away after an extended battle with cancer. While I wouldn't normally send a flowery pear as a sympathy card, when I added the sentiment inside (from the Soothing Sympathy stamp set), it really worked. This co-worker is one of those soft-hearted angels on earth who just lights up the room. 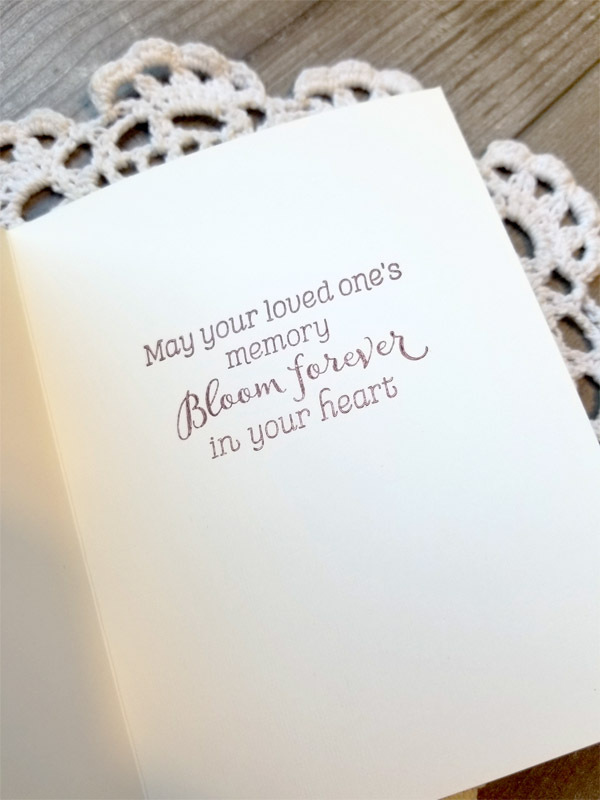 It's so terribly sad when we need a card like this but I also hope it brings comfort knowing we took a little of ourselves to create something just for them. 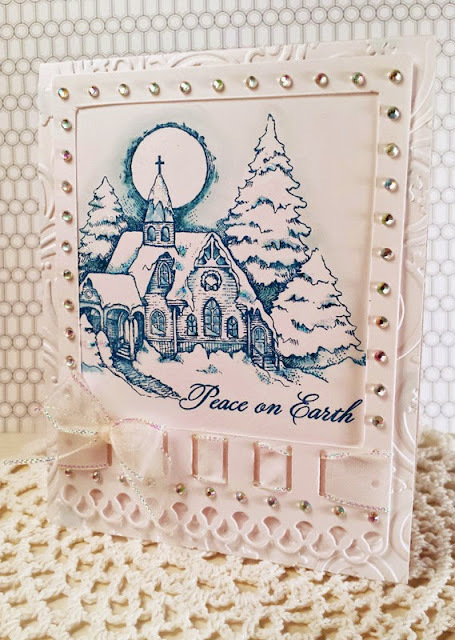 I added the sentiment "Sending love and peace" on the front of the card using a vellum strip. That sentiment is from the Power Poppy Tree of Life stamp set. 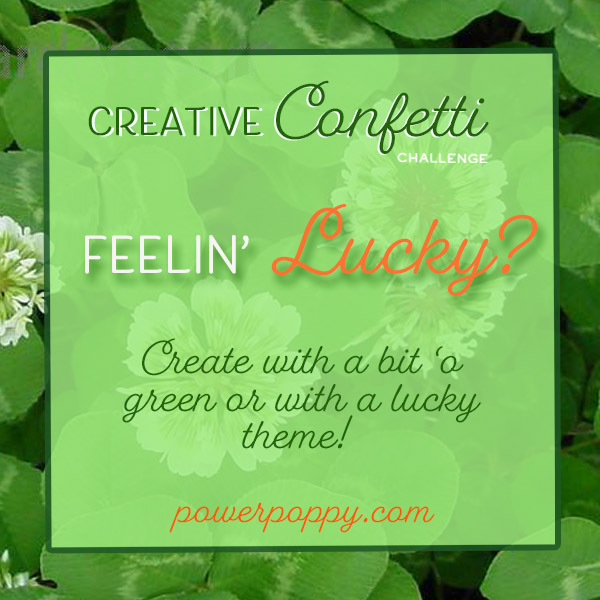 I will say that this image fits with the Creative Confetti Tutti Fruiti Challenge this week! 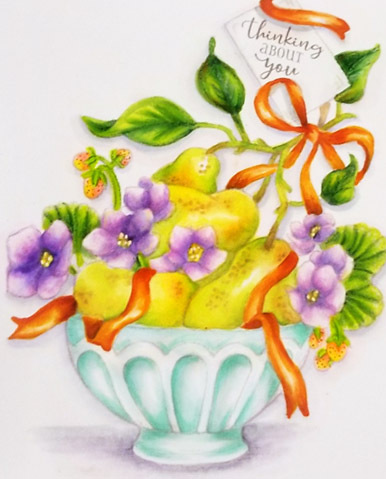 All you have to do, as the title suggests, use a fruity image as a centerpiece of your card or creation. You should bee-bop over to the Power Poppy blog HERE to read all about the challenge! If you play along, you could win a $25 gift card to the Power Poppy Shop! I happen to know that a few of my fellow Bloomies are on standby, ready to show off some of their creations for the week! So, won't you please pay these fine ladies a visit? Thanks so much for stopping by! I hope you have the best weekend ever and..... I'll see you back here real soon! A little Half & Half! Well hello there! Happy Friday to y'all! 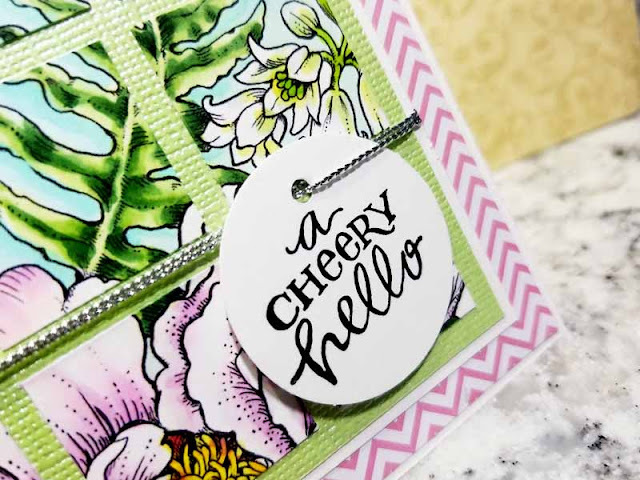 I don't know if you caught this little creation on the Power Poppy blog earlier this week HERE but I thought I'd share on my personal space since it uses a concept that can be kind of interesting in card making! Have you ever split the canvas of your image so that it shows up in two different colors? Not sure what I mean? Well, let me show you! 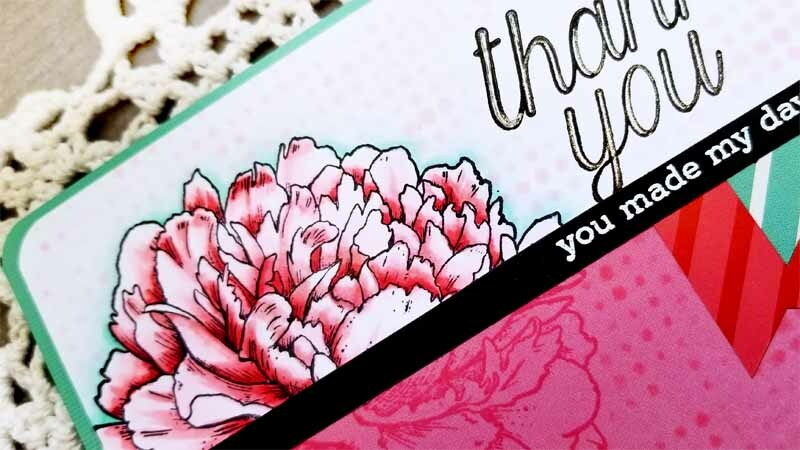 See how my giant and lush peony is stamped on both the white and then the dark pink creating a full image on two different backgrounds? That's the challenge! I have to tell you, I had no idea where I was going when I started this card and, honestly, I am still not sure I got there! ;-) Do you ever have card making sessions like that? Man, anymore these days, that's all I have! 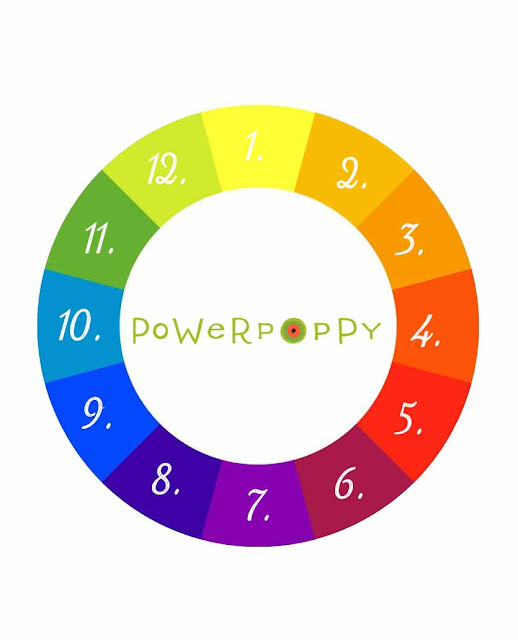 To start, I grabbed my MISTI, and lined up the paper to know where that large, lush, and beautiful flower from Power Poppy's set Abundant Petals might fall. Instead of making both halves in black ink, I decided to make the bottom half more soft and subtle so I stamped using Memento Rosebud ink. The top is Memento Tuxedo Black. 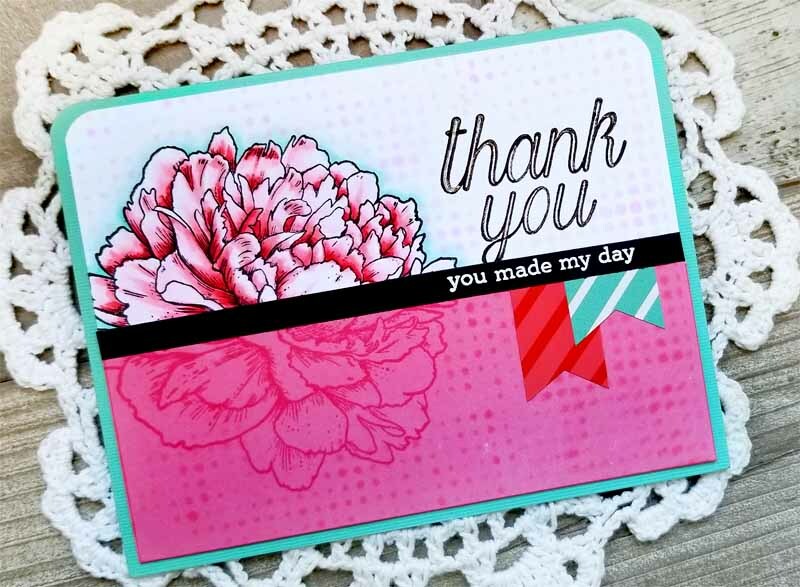 After I was done stamping, I stenciled a bit of Baby Pink Memento on top using a Tim Holtz die -- Dot Fade and then I used the stencil and Worn Lipstick Distress ink on the bottom. Here's a closeup for you! You can see I added a little sparkle to the lines of the Thank You sentiment with a bit of glitter pen. Gotta have just a smidge of sparkle -- no matter what! I should say that I colored up the flower using Copic markers and reached for R32, R35, R43 and RVOOOO. I highlighted around the flower using BG0000, BG10 and BG11. Add a few little doo-dads with the help of a white embossed sentiment strip (all sentiments are from the same Abundant Petals set) and some pennant flag stickers and... done! If you need a little more inspiration using this effect... Ally Cope crafted an Inspire Me Monday which kind of touches on this concept. She called it "Yin and Yang!" She divided her card into more than just two halves. You could too if you like and be inspired by her tutorial HERE! It's a fun one so click the link, grab a cup of your favorite beverage and enjoy! So, play along with me this week! All you need to do is click HERE to find out all the deets! Remember, if you play along and link up your creation, you're in the running for a $25 gift code to the Power Poppy Shop! Yes! Some of the Bloomies are on standby to please and wow you! 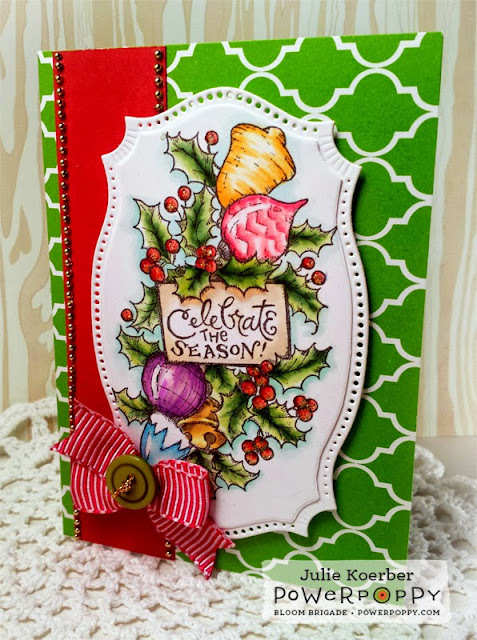 Just hop on over to see the fine things they crafted this week -- just for YOU! Thanks for stopping by and saying "hi!" Have an amazing and creative weekend! Having said that, we all need a "time out" to create, don't we? That's why this week over on the Power Poppy Blog, I ushered in a super dooper easy challenge for this week's Creative Confetti! I tried to focus on something small that you could do to 1. get in the spirit and 2. take some coloring time for yourself! HOW TO PLAY: It's just as simple as the graphic says! Create a gift tag! 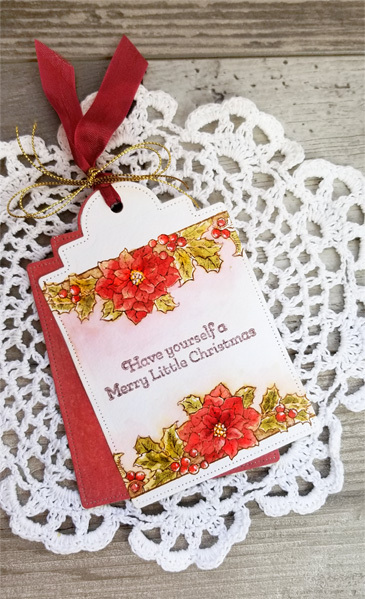 Now, while my little bit of inspiration below is a Christmas tag, it doesn't have to be! Make one to have on hand for birthdays or any other holiday for that matter. I just knew this was something quick and easy that would still give you some time to create! Once you are done creating, all you need to do is link up your creation HERE! I decided, for my tag, to pick up a medium that I don't often gravitate toward -- watercolor! It's soothing and I love the dreamy feel it creates when your project is all wrapped up. To get started, I picked up the Power Poppy set called Let Your Heart Be Light. 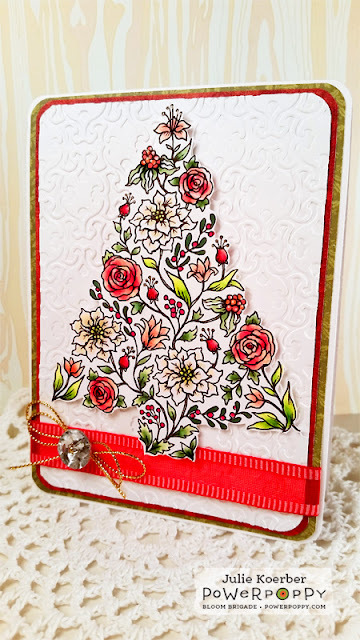 I love, love, LOVE those poinsettias! To create, I have to say I followed some of the same principles that Ally used in THIS tutorial. Now, I don't have Brusho but I did use Distress Inks to both stamp (Vintage Photo) and paint (Barn Door, Peeled Paint, Scattered Straw, Wild Honey, Antique Paper). 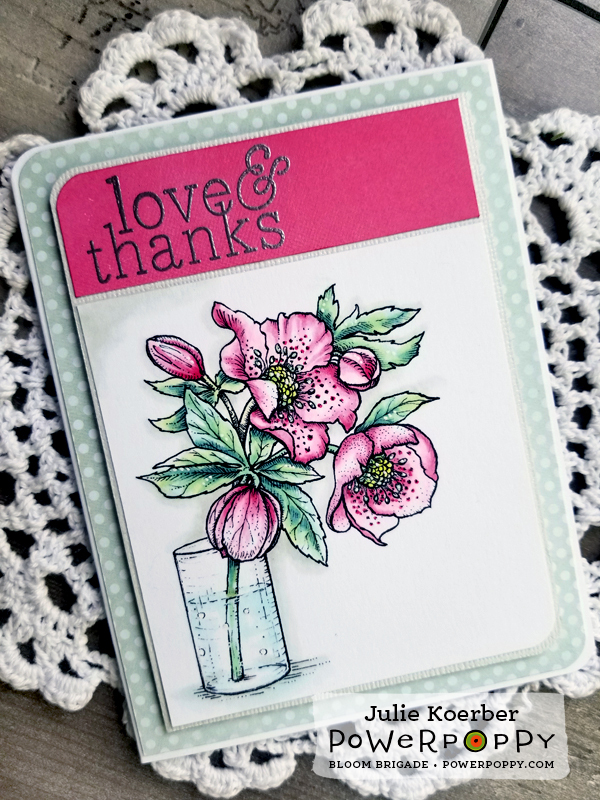 I started by stamping in Vintage Photo and then added a wash using Tattered Rose Distress Ink using a water brush. From there, I just added droplets of ink from my reinkers to a palette and diluting the color, gradually built up my color to where I wanted it to be. Now, I don't pretend to be an expert on watercolor. I have a lot still to learn about shading and really controlling the color but, each project is a chance to hone in on that. Now, it's your turn! 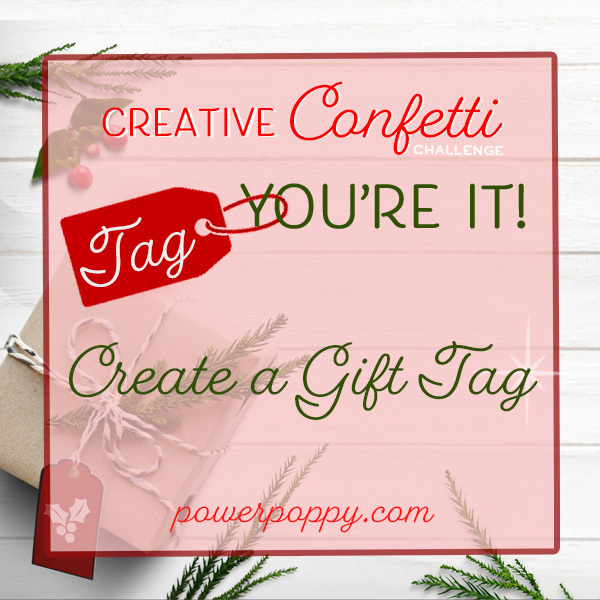 Do you have a last minute tag you'd like to create for that special gift or special someone? I hope you play along with me this week HERE because "Tag, You're It!" After you get those fingers inky, remember to link up your creation below. 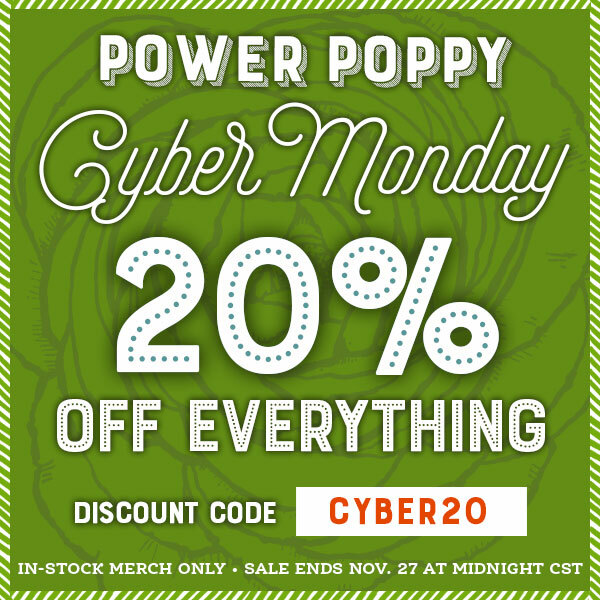 If you play along, you'll be in the running for a $25 gift code to the Power Poppy Shop! I hope you have a beautiful holiday with family and make some amazing memories to cherish for years to come! 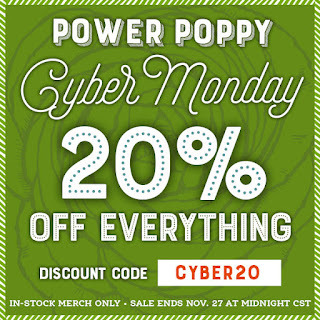 Just when you thought the deals couldn't get any sweeter... Power Poppy hits you with Cyber Monday specials! 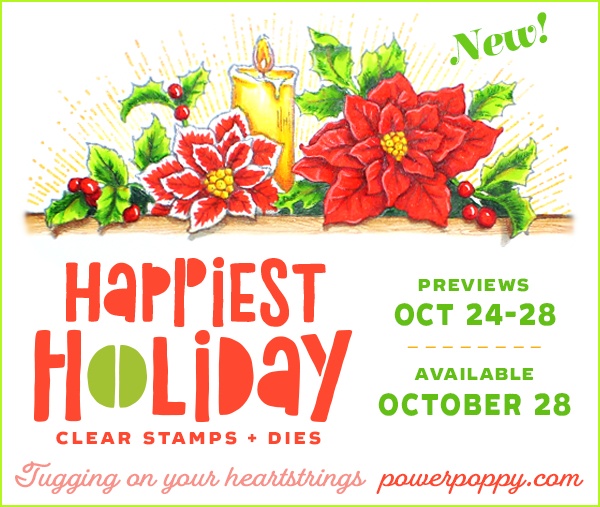 And, on top of that, Marcy is releasing a whole new crop of digital stamps that are sure to be perfect additions for your holiday card making! Check it out sweet peeps! That's right, from 12:01 Monday to midnight the next night, you can stock up on stamps, dies, and digis, including a slew of brand new digis! Just use the code 20CYBER for 20% off your entire order. Simply use the code at checkout and you'll be able to cash in on those savings! 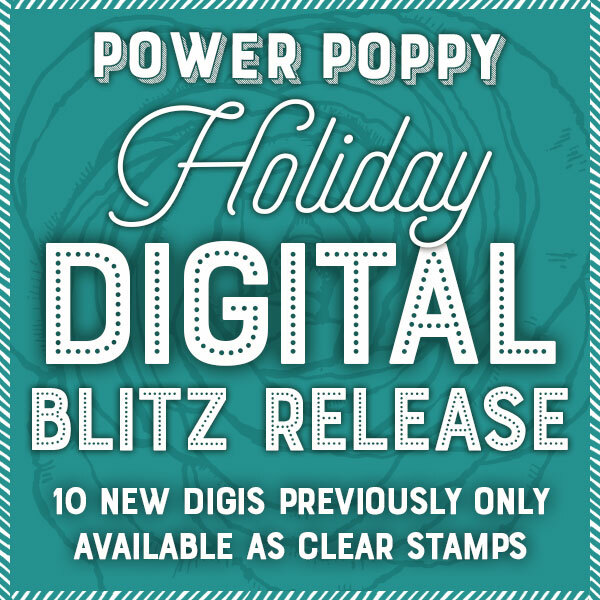 Power Poppy is also hosting a Holiday Digital Blitz, offering holiday images that used to only be available in clear stamps! Woo Hoo! You can check out all the new Holiday Digital Blitz images HERE but I'll give you a sneaky peek at some of the images that will now be ready to snap up, download, print and color! ....plus a handful of other completely adorable images! Like I said, you can check out all the Holiday Digital Blitz images HERE! Need a little more inspiration before you hit the Power Poppy Shop? Hop on over to see these amazing ladies! Have fun shopping, downloading, printing and coloring and I'll see y'all back here real soon! HAPPIEST HOLIDAY 2018 -- RELEASE DAY! Happy Hello all! And.... welcome to the final day of the Happiest Holiday Release. It's the final day because right this very minute now -- all of the sets that we've been sneaky peeking -- are LIVE in the Power Poppy Shop HERE! We do have one final set to show off and I tell ya, this one is an absolute show stopper! Take a gander, will you? 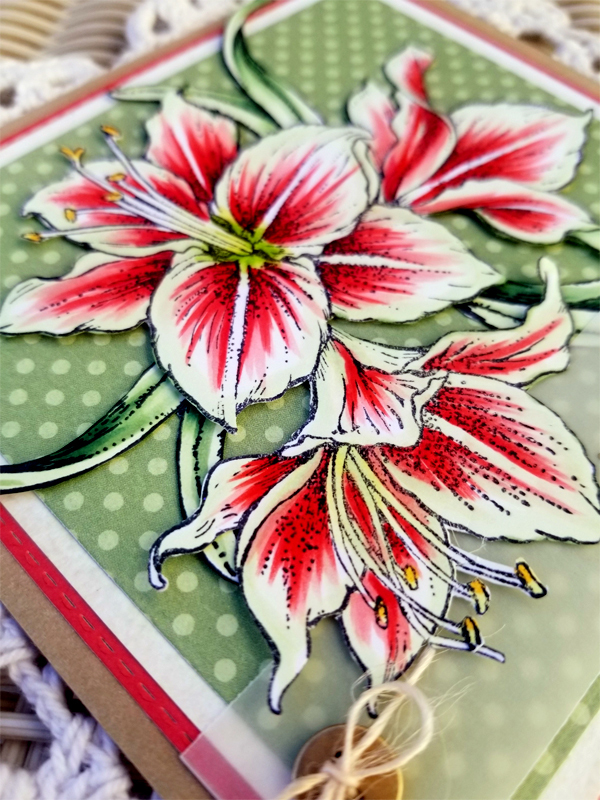 Amaryllis Bliss features a blossom that just so happens to be the quintessential winter scene stealer! Placed in pots or nestled into arrangements, showy Amaryllis blooms festoon mantels and holiday tables, sparkle from windowsills and consistently elicit gasps of "ooh" and "ahh". 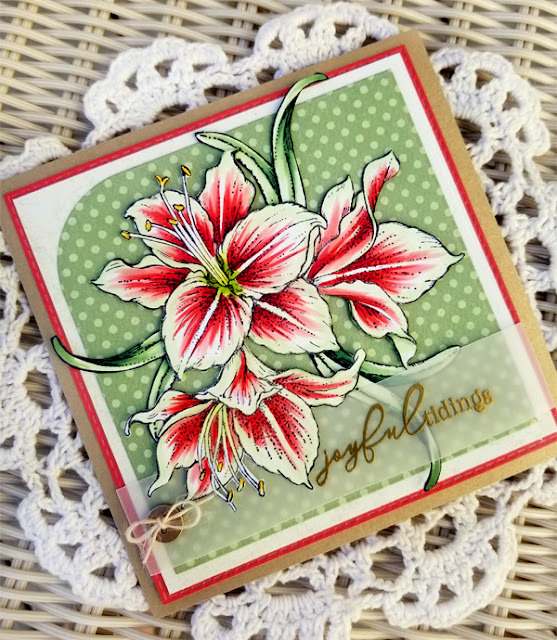 How about a few blissful Amaryllis on your cards, too? A trio of flowers beg to be colored in delicious reds, pinks, and whites — accented by your choice of greenery. Sprigs of fragrant cedar and jasmine would love to be tucked under the petals. A few Amaryllis leaves are included, too! There's also three pretty sentiments sharing holiday peace. 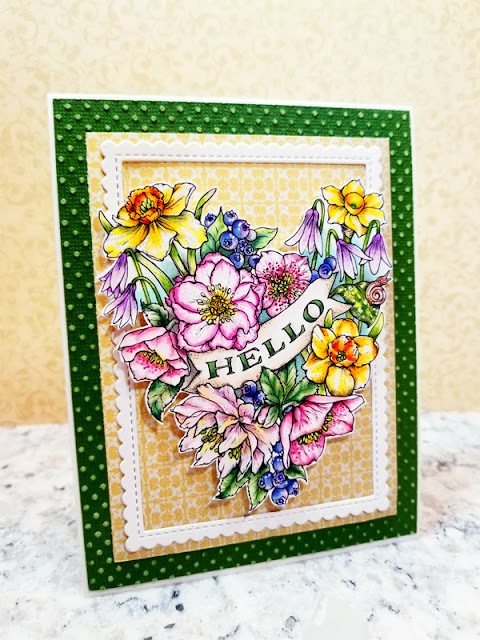 Just a note -- Power Poppy will also have dies to match this beauty! 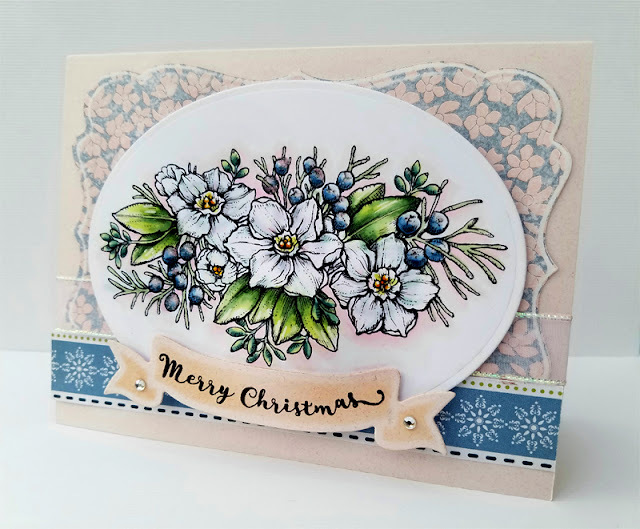 After stamping not only the main image but a trio of leave sprigs, I have to tell you I had a hard time deciding which blossom to use as my inspiration. There are so many varieties of amaryllis that you can really just have so much fun with a variety of color schemes! I did a search and stumbled upon THIS variety. I found it just a little more unusual with the light green accents. So, after I stamped, I grabbed my Copic markers and used R14, R24, R27, G20, G21, G24, and G27 to color up the petals and leaves and then G20 and Y35 to color up the stamens. Here's a closeup! 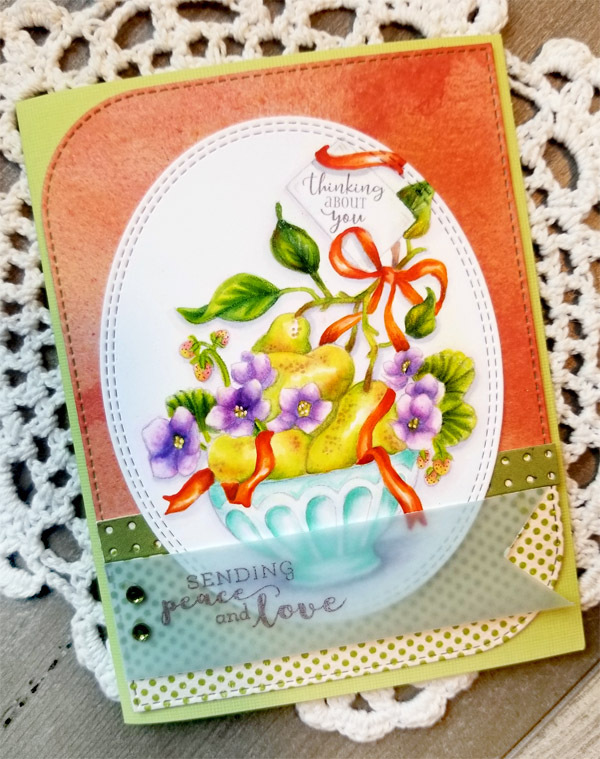 If you look at the photo above, you can see that I used a vellum strip and some gold embossing powder to add a sentiment (also from the set) around my fussy cut image! The rest is just matting it all up! 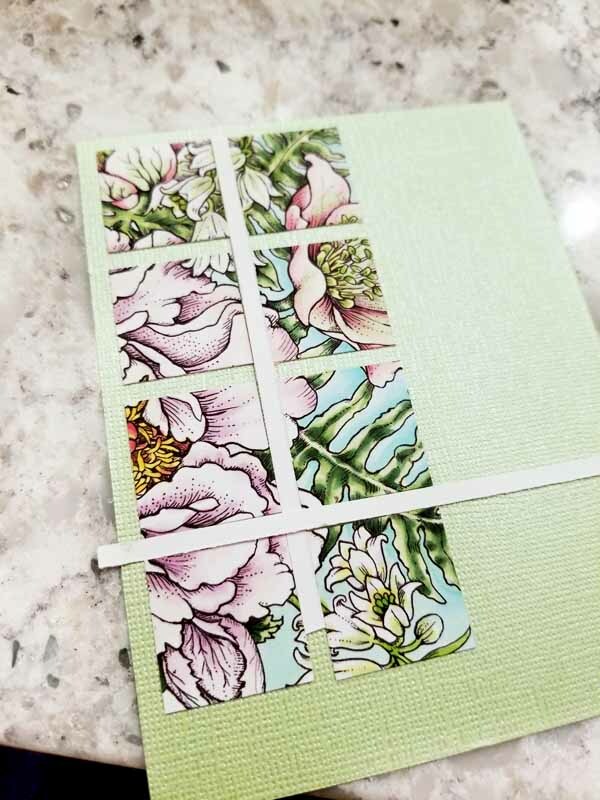 I chose some simple papers and a simple design since the fussy cut image really was where all the detail rested. Add a little gold button and... ta da! Done! These fine ladies below have a whole lot more eye candy to add to the mix, sharing a little more beauty and wonder centered around some Amaryllis Bliss! So, stop by, say 'Hi' and leave them a little love! Before we go, it wouldn't be a release without some kind of deal offered by Ms. Marcella herself! Check it out sweet peeps! We hope you had fun hanging out with all of us! We sure had fun showing off Power Poppy's newest release! Again, all you need to do is click HERE to see all of the sets in their full glory! And then, don't forget to take advantage of FREE SHIPPING when you place your order! Just use code HOLIDAY2018! Thanks for stopping by! I'll see y'all back here real soon!